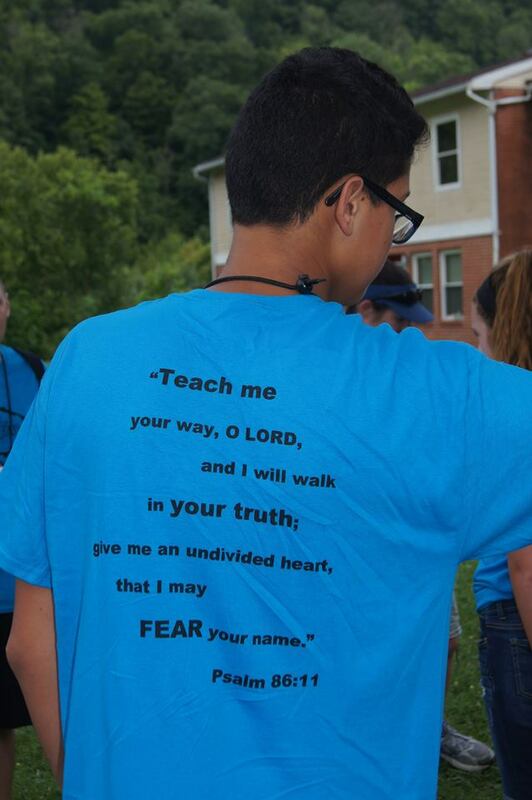 This summer I went on a short term mission trip with my church to a poor, rural part of West Virginia. While there, we were all challenged (including the middle school kids) to have an hour long quiet time, and it ended up being a big hit. Part of the reason it worked out so well was that we were given a devotional guide (which was actually more like an in depth Bible study) titled “Know Fear.” And we followed our quiet time with small group discussion about what the Lord was showing us. Initially, I wasn’t sure what to expect. The mission organization was new to our church, and I was concerned that the “Know Fear” topic might be something judgmental and religious, trying to slap us upside the head with the fear of God. Instead, it was a very balanced and deep-probing analysis of fear: both the good and bad sides of the subject. First we learned that fear is an important window into the soul. We shouldn’t just ignore, deny, or repress our fears, because our fears tell us a lot about what is really going on inside of us. Fear reveals certain needs and cravings that we have. And at the bottom of those needs and cravings are idolatry that we probably never even suspected. One fear in my heart that God revealed to me was certainly a new one. I had a fear of discomfort and pain, which I think comes from some of the middle-aged health challenges I’ve been facing for the last few years. Certainly not any exciting or impressive sin, and yet something that could pull me away from God’s best plans for my life it I let it. Over the next two days we really took an in depth look at the fear of man and the fear of the unknown. Two areas that hold many Christians back from God’s best for their lives. And at the end of the day, both sinful responses that we need to overcome. I didn’t personally relate a lot to the fear of man, but it revealed a different fear. I long to be free and unique, and so I fear any sort of outward control on my life. Even on this trip, I had opportunities to challenge myself and face that fear. It wasn’t until I got home that I finally got to read the author, Lauren Wright’s, perspective on the fear of God. And it was perfect. When we are not in right relationship with God, we have every reason to fear Him. But as we grow in relationship, that fear morphs into reverence, devotion, trust, and eventually pure worship. This probably wasn’t a subject I would have ever thought to study on my own, but I feel like now I “Know Fear” much better than I ever have before, and I’m thankful for the revelations God gave me on this subject. You can read more about the trip here, or check out our pictures here. What fears have you struggled with? What fears have you overcome? I had a fear of discomfort and pain, which I think comes from some of the middle-aged health challenges I’ve been facing for the last few years. LOL. I've had days when I've felt really old lately too!